Grav is finally here and the Alpha includes private dedicated server support! 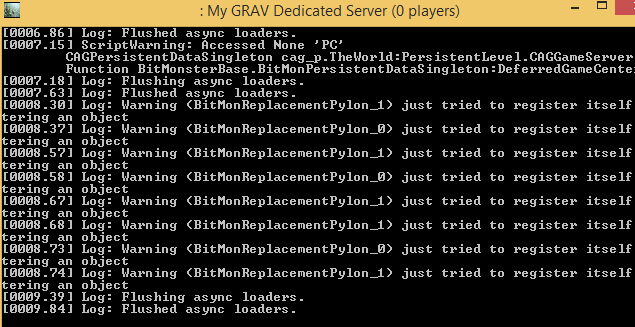 At this point I have not tested Grav servers on Linux. It works fine on my windows 8 64 bit machine even though you need to use the 32bit executable. Grav devs plan to add 64bit support in the future. You need to confirm that you have CAGGameServer.exe as seen in the image. 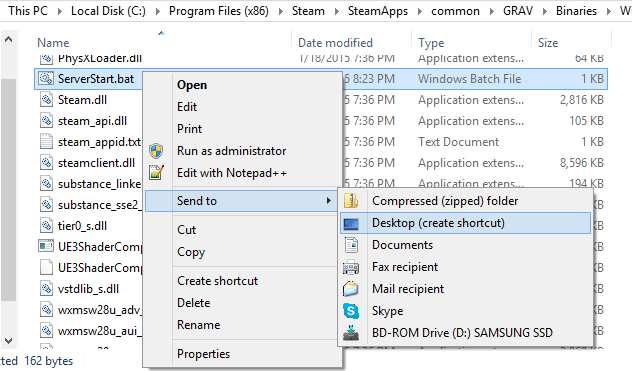 Step 5: Create a shortcut of the file ServerStart.bat file for easier access. Step 6: Double Click the file to start the server. Step 7: port forward port 7786 and 27019 as well as open your firewall up to allow people to connect to your server and be seen on the server list. Working on it… Some minor success with Wine but its constantly crashing. If anyone has had success making a Grav dedicated server on Linux please leave a comment!